Let’s start with the webinar details. 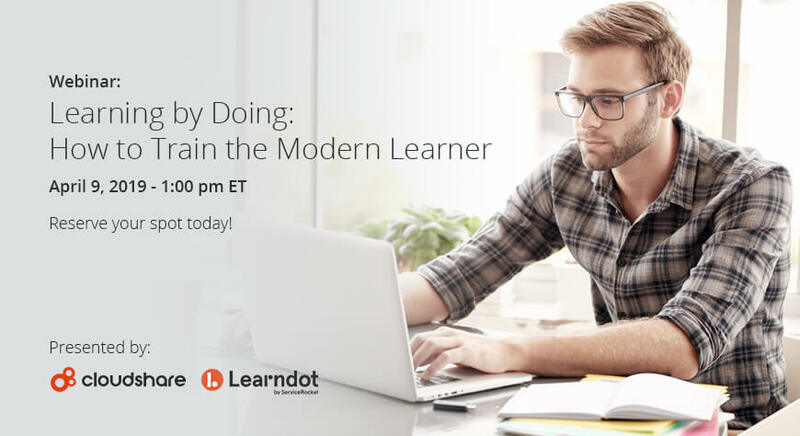 What: Join us and our colleagues from Learndot for the first of a series of two webinars on a burning organizational issue: How to train the modern learner. I have no doubt that, at the time, Aristotle did not have in mind modern learners, that is to say, millennials. As the “digital native” generation, millennials learn differently because of their deep relationship with technology. Organizations need to consider that fact when designing learning strategies. The old, passive teaching methods don’t cut it anymore. Training managers need to modify their strategies and course delivery methods to maximize the potential and the learning styles of millennials. After all, millennials continue to hold the current title for the largest generation in the U.S. workforce, and it’s been proven that taking a less formal approach to learning and finding ways to connect courses to real-life situations, is preferred by this fast-paced group. How do you turn an old adage into a winning and cost effective business strategy? How do you train the modern learner with his or her overbooked schedule, short attention span and information overload? How do you deliver engaging training that also drives knowledge retention? Last but not least, how will you know you succeeded in delivering courses with higher NPS (Net Promoter Scores) and completion stats? And the best part, as with any live webinar, is the Q&A with live participants. You ask the questions and receive answers in real-time! It’s a can’t-miss bonus that you will want to stick around for after hearing our CEO, Zvi Guterman and Learndot’s General Manager, Jesse Miller present. Because it’s about hearing your colleagues challenges and joining a live discussion that makes you wonder if you are on track. A few hundred training professionals have already registered and we are almost out of space, so join us for this free Training Industry webinar.